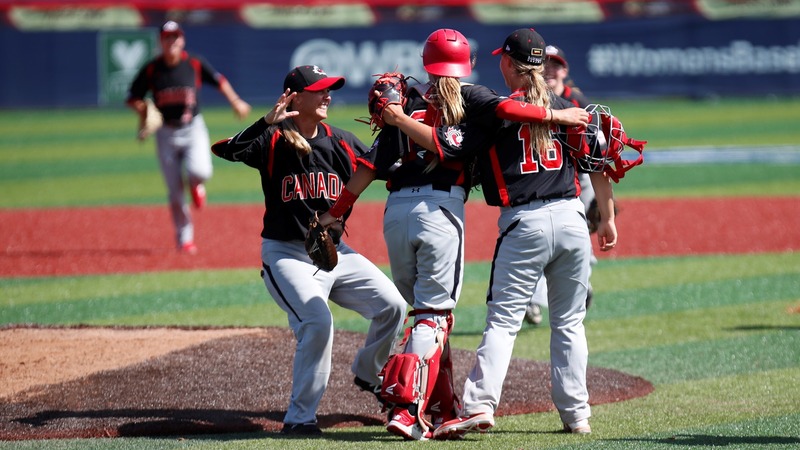 Canada needed three extra innings to beat, 8-5, the USA and claim a bronze medal in the Women’s Baseball World Cup. Daphnée Gélinas starred at the plate, going 3 for 4 with a home run and 4 RBIs, including the go ahead run in the top of the tenth. 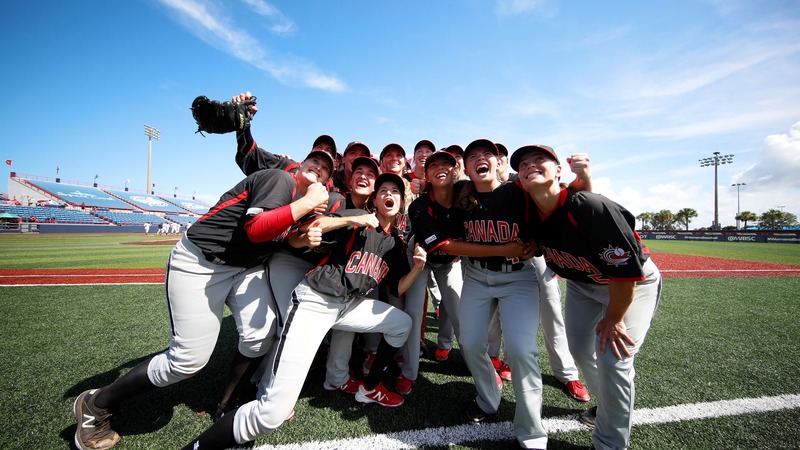 Canada got on base with a couple of base hits (Gélinas, Psota) against Brittany Schutte in the top of the first but failed to score as Jenna Flannigan flied out to left field to become the third out. In the bottom half of the frame the USA didn’t waste their opportunity. 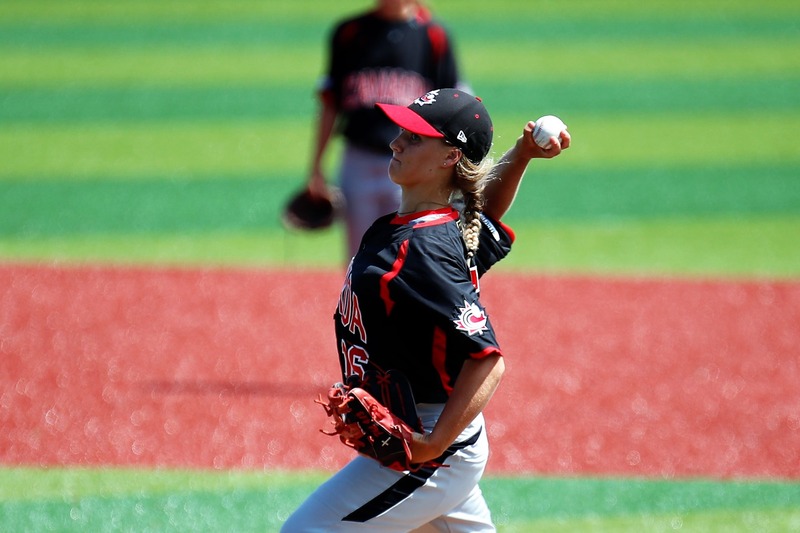 Canada starter Amanda Asay got started with a walk. With one out, Malaika Underwood sent a comebacker to the mound and Asay missed target while trying to get the force out at second. Gortarez ran all the way to third. 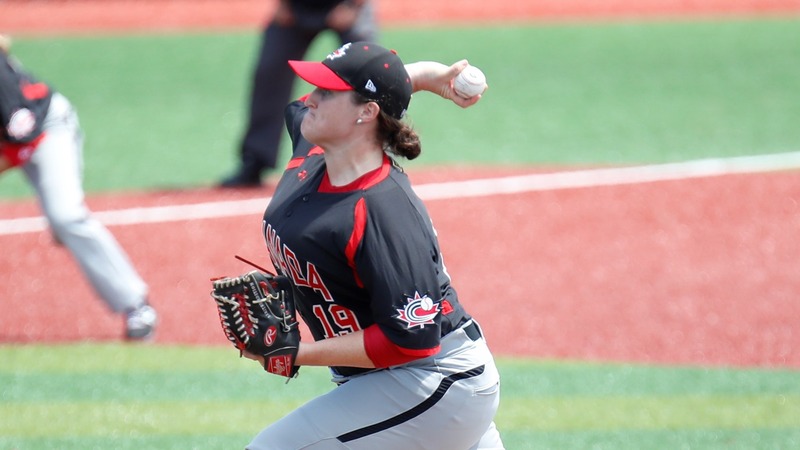 Canada loaded the bases with an intentional walk to Megan Baltzell. Michelle Cobb followed with an RBI single and another run scored when Asay hit Anna Kimbrell. Canada put runners in scoring position again in the top of the second. Mia Valcke led off with a double but never went beyond third base. Schutte hit Kaytlin Ross and runners advanced on a wild pitch, but the at bat came to an end when Nicole Luchansky grounded out to shortstop. 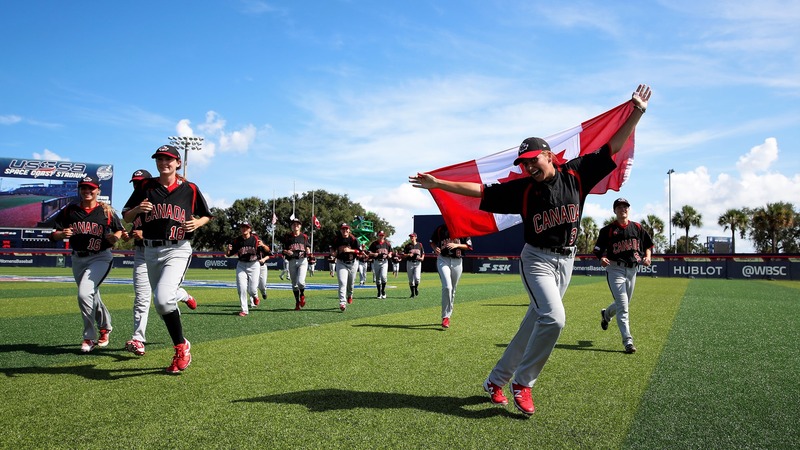 Canada reversed the lead in the top of the fifth. Schutte walked Kaitlyn Ross and hit Nicole Luchansky. Daphnée Gélinas worked the count full, fouled off the sixth pitch and was all over the seventh offering by Asay. She drove the ball all over the right field fence for a game changing three run home run. Megan Meidlinger took over for Schutte on USA mound in the top of the sixth. Kylee Lahners led off the bottom of the sixth with a single and left for pinch runner Ashton Lansdell. 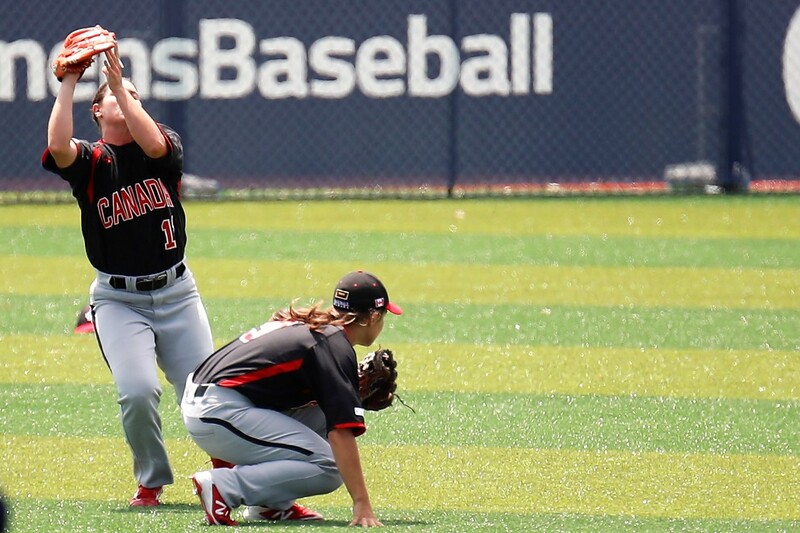 With Kimbrell at bat, Canada’s catcher Kaitlyn Ross picked Lansdell far from the bag. The pinch runner headed to second and reached safe when first baseman Katherine Psota threw off target. Anna Kimbrel advanced the runner to third with a sacrifice bunt. Pinch hitter Kelsie Whitmore stepped in for Hugo and became the second out with a soft roller at third. That was it for Asay, who left for sixteen year old Allison Schroder. The USA responded sending at bat pinch hitter Samantha Cobb for Gomez. Schroder got her looking to a third strike breaking ball on the outside corner. 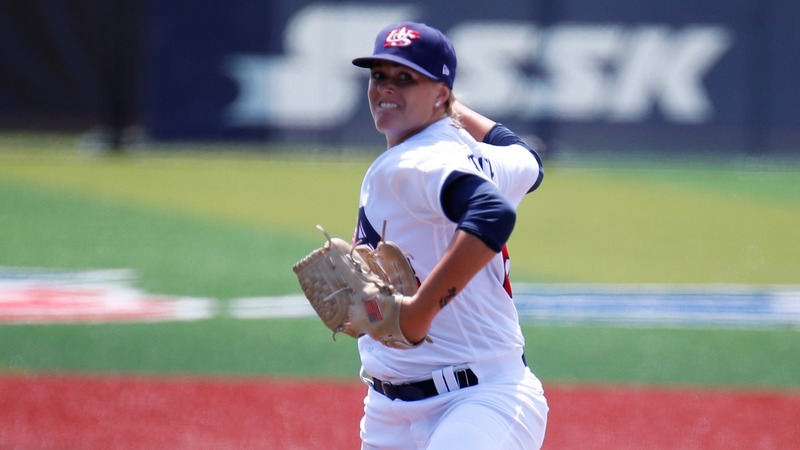 The USA sent their ace Stacy Piagno to the mound in the top of the seventh. 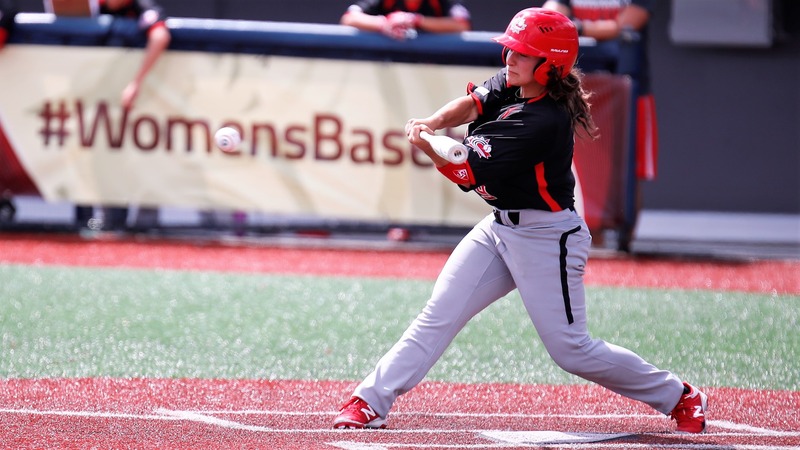 Jade Gortarez led off the bottom of the seventh with a base hit and Amanda Gianelloni made her the potential tying run with a perfect sacrifice fly. Malaika Underwood doubled to the gap in left center to tie the game and become the potential winning run. Canada intentionally walked Baltzell to get to Michelle Cobb. A potential inning ending double play remained in order. 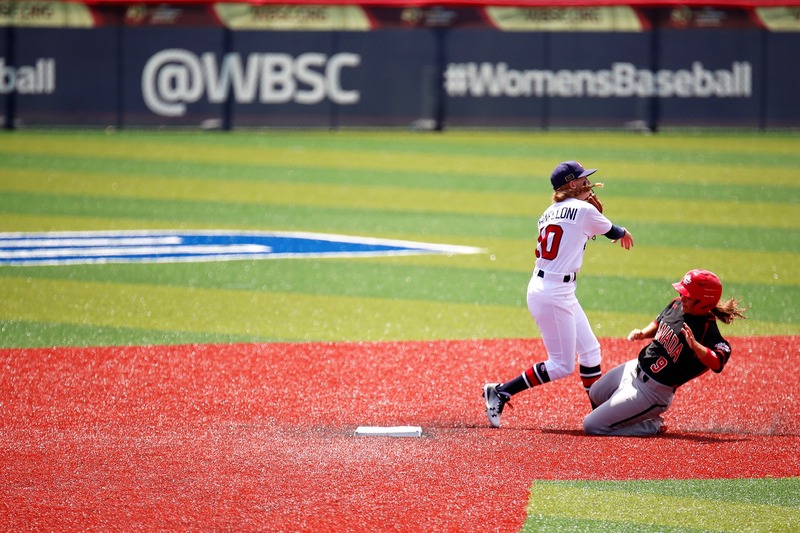 Cobb became the second out as she hit a fly to left field and Schroder got out of the inning as she got Anna Kimbrell to ground out to second. Neither team scored in the first two extra innings, despite the international tie break rule. With Ross at second and Willan at first, Nicole Luchansky dropped one more bunt in the top of the tenth. The USA failed to get the lead runner and this brought to the plate Daphnée Gélinas with the bases loaded and no one out. Gélinas got her fourth run batted in of the day with a single up the middle. Piagno struck out Emma Carr with an off speed pitch to record the first out. 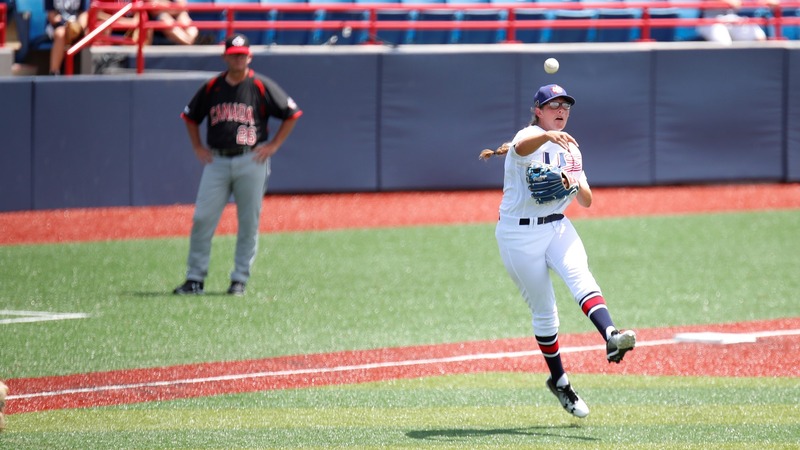 USA’s ace then hit pinch hitter Anne Sophie Lavallée to extend Canada’s lead to 5-3. 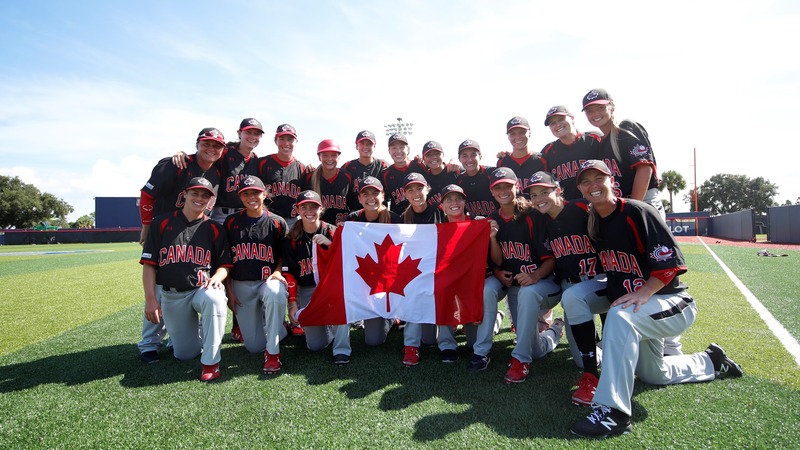 With two outs, a swinging bunt by Mia Valcke made it 6-3 and Canada broke the score open with a two-RBI single to right field by Ashley Stephenson. 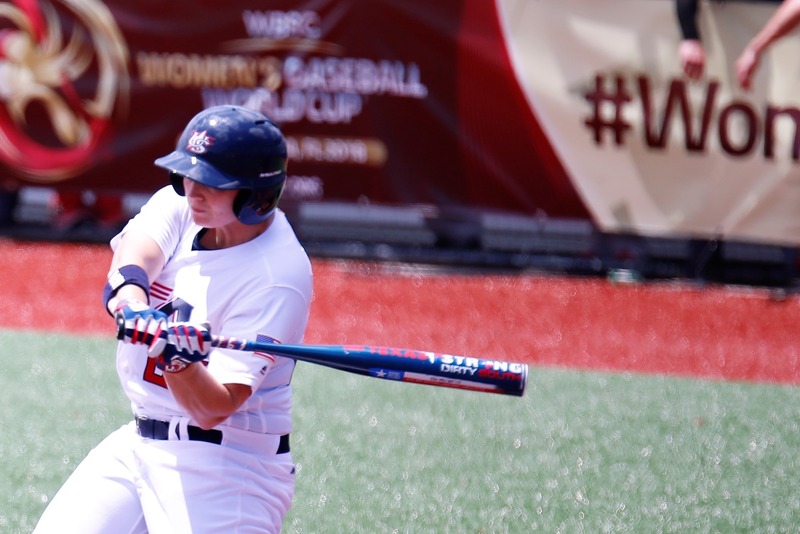 The USA didn’t give up and cut the gap to three runs. With one out, Schroder walked Kimbrell and Samantha Cobb followed with a fly to shallow left field that fell for a two-RBI single. The game ended when Samantha Cobb grounded to Shortstop and Gortarez could ignite a double play. “Before the bottom of the tenth everybody on the team was really excited,” commented Allison Schroder “it was great getting this win”.